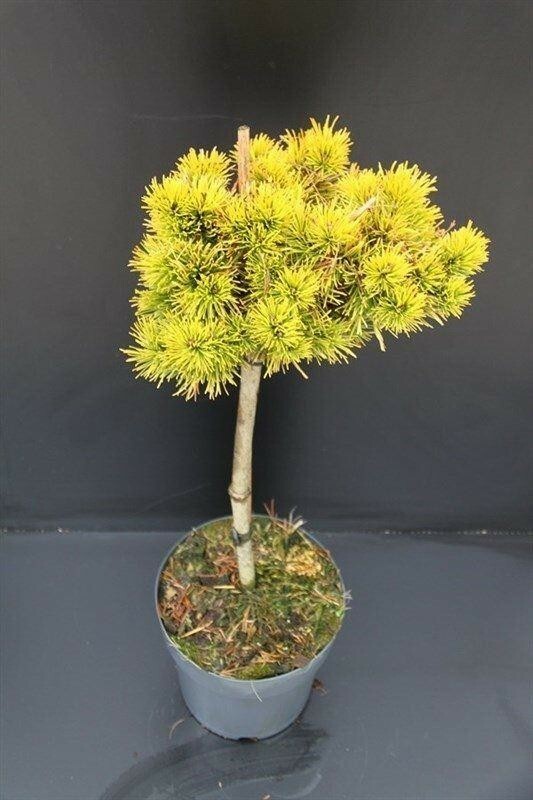 Pinus mugo Winter Gold is a hard to find dwarf mountain pine, with unusual, dark-green needle like foliage. In late Autumn, the foliage takes on a brilliant shade of golden yellow, retaining this colour throughout Winter and into early Spring. 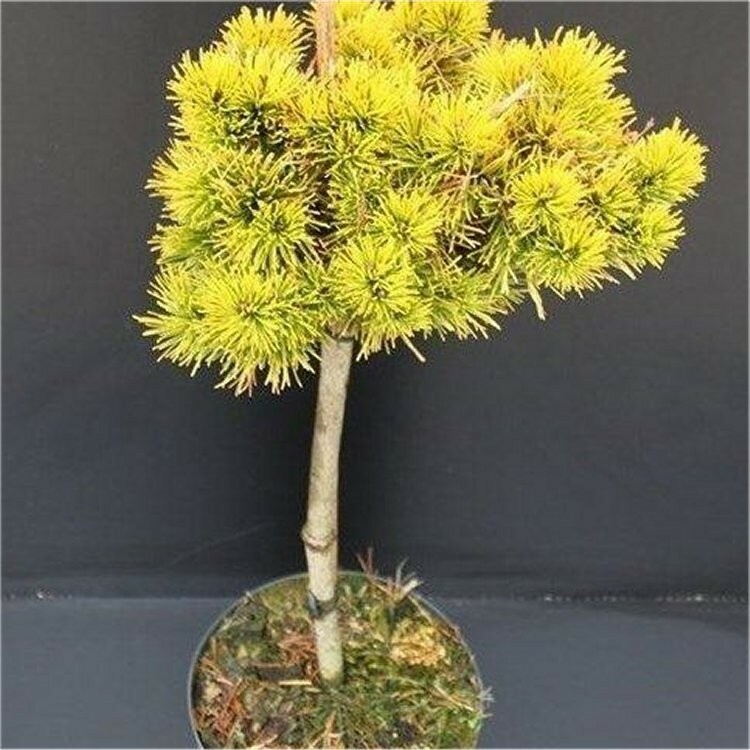 This particular plant is very unusual in that it has been trained to grow a top a long, clear stem, creating a highly effective, miniature standard tree. It looks particularly stunning if you've a Japanese themed area, combined with attractive Acers and Maples or low growing Japanese Azaleas. It will also make a stunning feature plant near a water feature or pond. 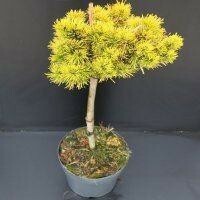 Try two of these Pinus either side of a pathway, entrance or even spanning across a nice feature plant. Will be sure to create a unique and attractive effect wherever you decide to plant them. Supplied in approx 2-3 litre containers.